Ford has introduced the 2017 F-150 Raptor SuperCrew. Set to debut at the North American International Auto Show later today, the truck is essentially a crew cab variant of the 2017 F-150 Raptor that debuted at last year's show. As a result, the truck's aggressive styling carries over and includes a rugged front bumper, a mesh grille, and extended fender flares. The truck also has a dual exhaust system and 17-inch alloy wheels with BFGoodrich All-Terrain KO2 tires. The interior echoes the standard model but rear seat passengers gain additional legroom as well as improved entry and egress thanks to the larger rear doors. A 3.5-liter EcoBoost V6 engine resides under the hood and produces more than 411 horsepower and 434 pound-feet of torque. The engine is connected to an all-new ten-speed automatic transmission and a four-wheel drive system with a torque-on-demand transfer case. Besides the aforementioned changes, the truck has an off-road focused suspension with FOX Racing Shox. 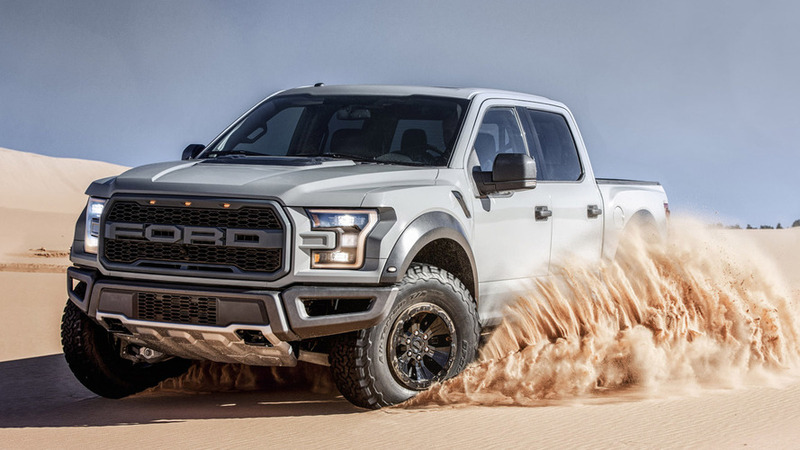 Ford declined to elaborate but noted the new truck has more suspension travel than the outgoing F-150 Raptor. The 2017 F-150 Raptor SuperCrew will go on sale this fall and pricing will be announced closer to launch.